We made these delicious cookies with our Poppy. We love Frozen. We love doing art. 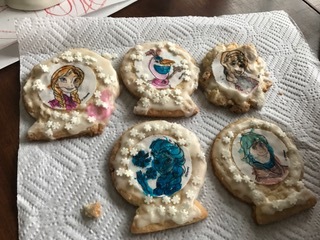 And we loved decorating these cookies. It was fun.